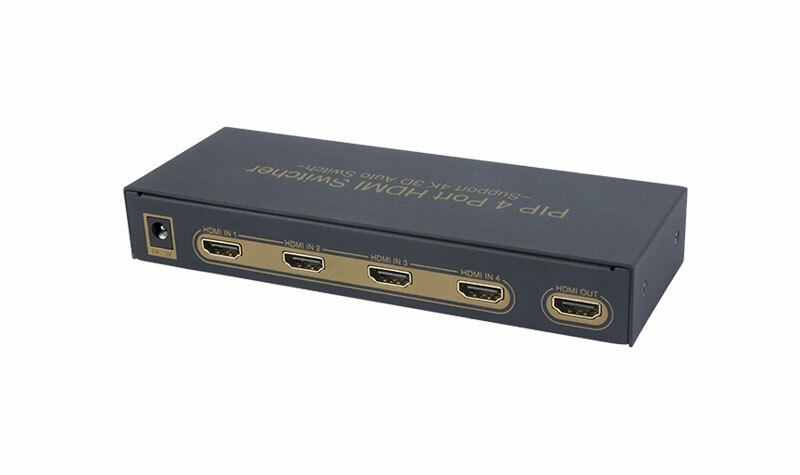 The 4x1 HDMI Switcher supports PIP,4K and 3D can do connect four HD Sources to one HD Display. 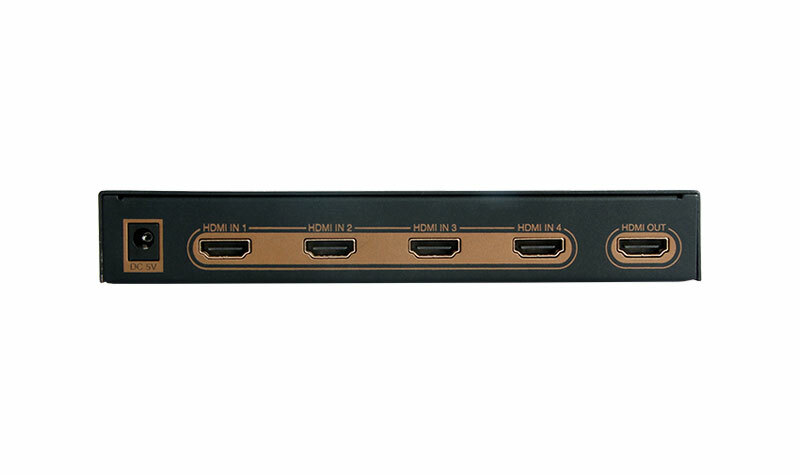 It can easily switch any one of the input four HD Sources to one HD display. 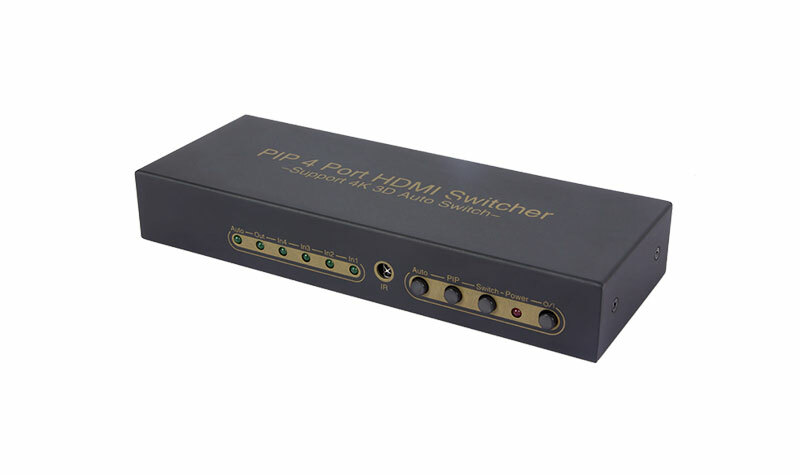 It supports PIP function, and it can do switch or choose the input sources by checking the small picture window from the PIP. Support PIP function: have one main picture and three small picture, it can do switch of input sources by press button or remote. Inputs can be switched with the IR remote control，also can be controlled by two buttons.